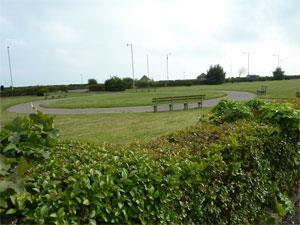 Crescent Gardens in Great Yarmouth are a tranquil haven at the northern end of the seafront. Overlooking the North Drive boating lake and north beach, an ideal place to sit and relax in well tended gardens. Follow signs for the seafront, taking a left turn onto North Drive at the mini roundabout. Proceed along North Drive. Crescent Gardens are located at the junction with Beaconsfield Road.